The Illinois Newsroom team dedicated months to finding a range of stories that represent the complexity of affordable housing for communities across the state. Because we are a small team, these stories do not capture the full scope of Illinois housing issues, but it is a start. We always welcome your feedback on our current reporting and suggestions for future stories we should work on, so please reach out. In 2017, Illinois passed a law that allows schools to spend district dollars to help families of homeless students find housing. Through conversations with district and regional education staff, Lee heard of only a couple of families who’ve been helped through the process. That’s despite the immense need across the state – the Illinois State Board of Education estimates more than 50,000 students in Illinois are homeless. Lee talks with one family being helped by the law, and explores the reasons why it’s not reaching most homeless students in the state. Many communities across Illinois have crime-free housing or nuisance ordinances that allow landlords to evict renters if someone in the home is involved in a crime. Some town leaders say it’s an important tool to protect communities. But, critics say the laws disproportionately affect low-income residents and raise fair housing concerns. Mary is looking at how the ordinances are playing out in Illinois cities. 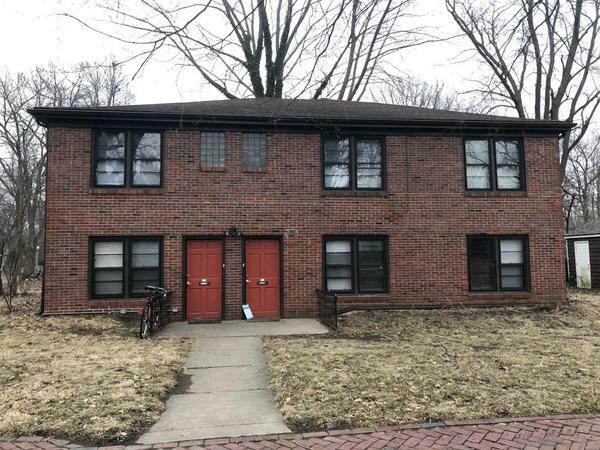 For many communities in downstate Illinois, limited choices for quality housing are an extra hurdle to attracting new businesses and residents. Through her reporting, Madelyn heard about the effects of a new tax credit in Illinois that gives builders more incentive to turn old buildings into new stores or rental housing. A combination of more people downtown plus more quality housing plus upgraded storefronts could be extremely helpful to aging communities around the state, but it will be a challenge for rural areas to compete for the tax breaks that would help make this happen. Like we said above, please help us broaden our series. As part of our Ask the Newsroom campaign, we are committed to answering a selection of questions you have about housing affordability in your area. Let us know in the comment box below what else you’d like us to investigate. We’ll be answering audience questions throughout March.